We fly higher than anyone else, 15,000 feet means you get more time in the air, more time to learn and practice, more time to play and more time to FLY! You get 15 more seconds per jump than at other centers, valuable learning time much-needed in freefall. All our courses include the AFF Tandem, one attempt at AFF levels 1 to 8 (level eight is a low altitude exit required for an A-License), goggles, logbook, AFF manual and instructor video footage presented on USB at the end of the course. Completing your AFF Level 8 makes returning to your home DZ, particularly in the UK, a little smoother. Remember that you will need to stay current with your jumping, so once you have completed AFF level 8, do not leave it longer than 6 weeks, before you jump again, starting you consolidation (supervised solo) jumps. If you know that you want to be a skydiver, and you want the fastest method possible to receive your BPA A-Licence, this is the course for you. We offer you the necessary Canopy Handling Grade One theory and practical knowledge, free of charge during your consolidation jumps. 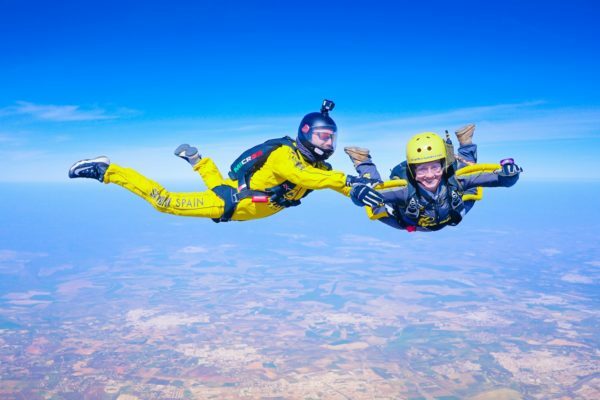 If you know that you want to be a skydiver, and you want the fastest method possible to receive your USPA A-Licence, this is the course for you. We offer you the necessary Canopy Handling Grade One theory and practical knowledge, free of charge during your consolidation jumps. 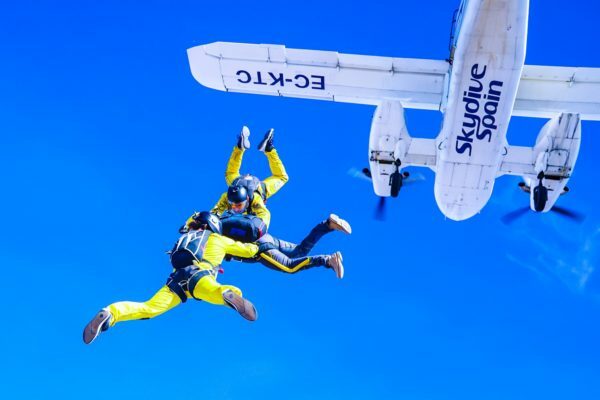 If you have any medical problems you must have our Fitness form signed and stamped by your doctor, please request it from info@skydivespain.com. Maximum age limit of 50, we cannot accept anyone over 50 years of age for the student courses (only Tandem jump possible). Maximum weight limit of 95 kg (15 stone/209 lbs) – this is also dependent on height and we reserve the right to refuse students who exceed the recommended Body Mass Index. However exceptions may be made for those who are heavy due to large muscle up to 100kg. Please contact us for more information. Giving incorrect personal information when booking may result in you forfeiting all the costs for the course. 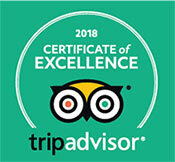 If you have any queries about our restrictions please feel free to contact us before you make a booking. Are you ready to book your AFF Residential course? Become a skydiver in sunny Southern Spain while enjoying the convenience of having your accommodation and all transportation included! Book your AFF Residential course now! You can register by calling us directly at +34 687 726 303. The AFF program is a two-day program. 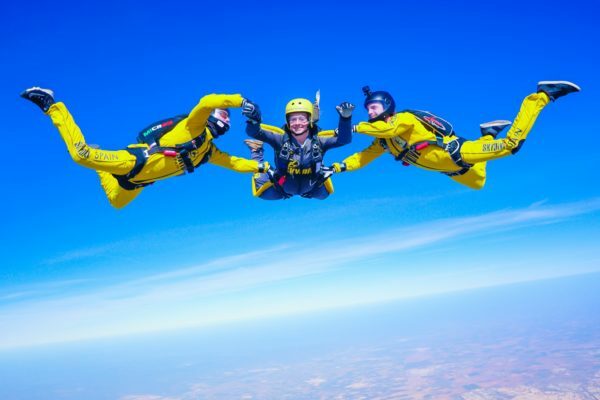 Skydive Spain offers on-site lodging and can recommend offsite lodging as needed.